A generous gift to science and education, body donor programs should be non-profit to ensure the utmost respect. Did you know that whole body donation programs can be for profit or not-for-profit? Programs that are for-profit may not advertise it, but we strongly believe that future donors and donor families should have access to all of the facts before selecting a donor program. While a for-profit organization may also be altruistic, accountable, and caring, these attributes are often compromised by the need to generate a profit that benefits company owners, investors, and shareholders. A non-profit organization’s fiscal responsibility is to generate just enough revenue to carry out its charitable mission. Anatomy Gifts Registry is a whole body donor program owned and operated by the Anatomic Gift Foundation, Inc. (Employer Identification Number 52-1853905), a bona fide charitable organization. We are especially proud to be formally recognized by the IRS since 1996 as a 501(c)(3) non-profit organized for scientific and educational purposes. Because body donation is a generous gift to science and education, body donor programs should be non-profit to ensure the utmost respect. If you’re not sure of an organization’s charitable status, ask about the organization’s IRS Ruling Letter and verify the information. As one of the oldest and largest independent non-profit whole body donation programs, Anatomy Gifts Registry has transparency and public trust in program operations. Combined with donor acquisition by first-person consent through the willed body program, this allows AGR to meet the regulatory requirements of governments and Institutional Review Boards (IRBs). All accepted donation cases comply with the Uniform Anatomical Gift Act (UAGA). Voluntary Licensing and Accreditation is important and represents major accomplishments and a commitment to public trust. Anatomy Gifts Registry (AGR) voluntarily sought oversight from one of the only states in the U.S. that offered licensing; New York. AGR has maintained this licensure for over 2 decades. In addition to state licensure, AGR sought and achieved even further oversight through accreditation by the American Association of Tissue Banks (AATB). Accredited Non-transplant Anatomical Donation Organizations, or NADOs, are professional entities that collect and/or distribute human tissue donations not intended for transplant, and are accredited by the AATB. 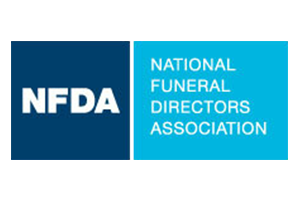 Obtaining this accreditation is a major accomplishment, and it demonstrates a NADO’s commitment to quality, transparency, public safety, and excellence in service to donor families and the medical research and education communities. 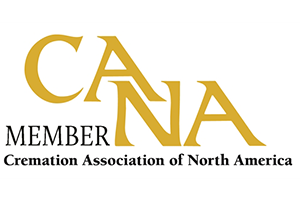 Unlike state licensing (which is currently only required in a handful of states), this accreditation is voluntary and is currently recognized as the highest level of oversight available to NADOs. 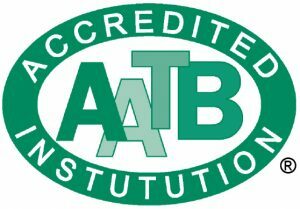 AATB has been accrediting transplant tissue banks for decades, and now accredits non-transplant donation organizations with the same level of scrutiny and rigor, respective to the standards set for each. After an intensive application and inspection process, the accreditation period continues for 3 years, with re-application required for renewal. A NADO’s operations are inspected on site to check for compliance with high standards set for institution requirements. These areas of review include staff training and continuing education, donor referral, informed consent and authorization processes, operational procedures and controls (including a robust quality assurance program), donor testing and screening procedures, safe and dignified handling of donors, and much more. An accredited NADO may be re-inspected at any time, with or without notice. NADOs partner with the AATB to provide the highest level of service to donors, their families, and all the physicians, students and research institutions that utilize non-transplant human tissue to develop improved treatments for illness, injury, and disease.